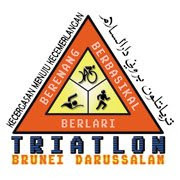 Registration for Brunei Triathlon are now open. The organizer have chosen 1st March 2009 to be the competition date. The location of the race is still the same as the previous triathlon. Registration are open to male & female holding YELLOW, RED AND GREEN Brunei identity card. Therefore only foreign residents residing in Brunei Darussalam are allowed participate or in other words NO OVERSEAS PARTICIPANTS. All top 10 winners of each category will receive CASH prizes and certificate. ALL participants who finishes the event within 3 hours 30 minutes will get prizes and certificate. The chances of getting top 10 are very much possible because there are not many individuals who are very good at all three sports. 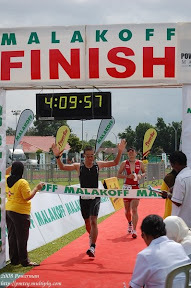 But still I would predict that there would be more participation as compared to 2nd Brunei triathlon. For team events, I would guess there would be more participants joining the team events as compared to individual event. Swimmers, Cyclists & Runners - It will be very hard to find a good swimmers compared to finding a cyclist and a runner. So to any GOOD SWIMMERS out there who are looking for a team mate, I already have a cyclist and a runner. Good Swimmers meant that you are not afraid to swim in the open sea and preferable have experience in open sea swim. Anybody who wants to join the TEAM can email me.